The Trinity line of APU’s from AMD have shown us that it is possible to have respectable CPU and GPU performance all in one chip. Along with that you get low power consumption and a low price to boot. But as we have shown in our recent ECS FM2 motherboard review, these Trinity chips also have a little something for the enthusiast as well. 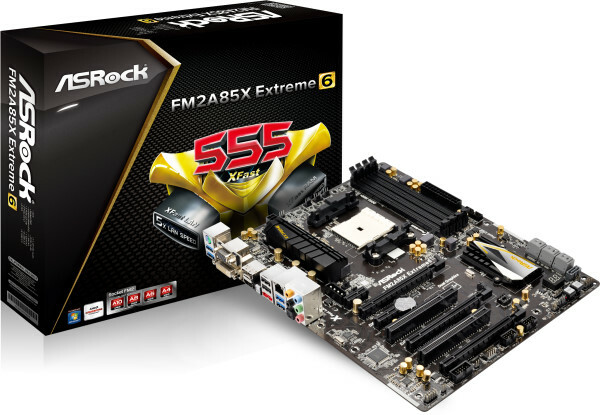 Here to capitalize on that potential is ASRock with their FM2A85X Extreme6 motherboard. Like a good performance board should, it supports the most powerful chips and RAM, and offers lots of room for tweaking and expanding. Read on to see its capabilities and how it stacks up to the competition.